Poor Caol Ila distillery. It’s pretty much the ugly stepchild of Islay whisky, often forgotten about, locked in a cupboard under the stairs, churning out whisky for blends for their evil stepmother Diageo. Which is my rather glorified way of saying it’s a pretty neglected distillery. When people talk of Islay, they first mention Laphroaig, Ardbeg, Bruichladdich or Bowmore. At a push, they’ll try to pronounce Bunnahabhain. Those in the know will mutter Kilchoman quietly to themselves whilst buying up bottles to sell at auction. 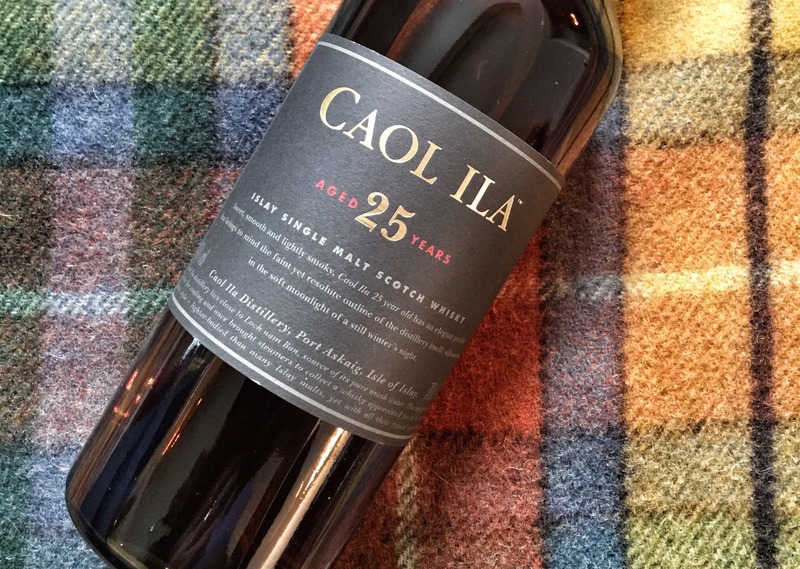 Located near Port Askaig, Caol Ila – pronounced “cool eye-la” (or something like that), was founded in 1846 but had something of a rough history, being mothballed between 1930-1937 and 1942-1945. Now it is in the hands of Diageo, and is used for producing whisky for blends such as Johnnie Walker and, dare we say it, Bell’s. 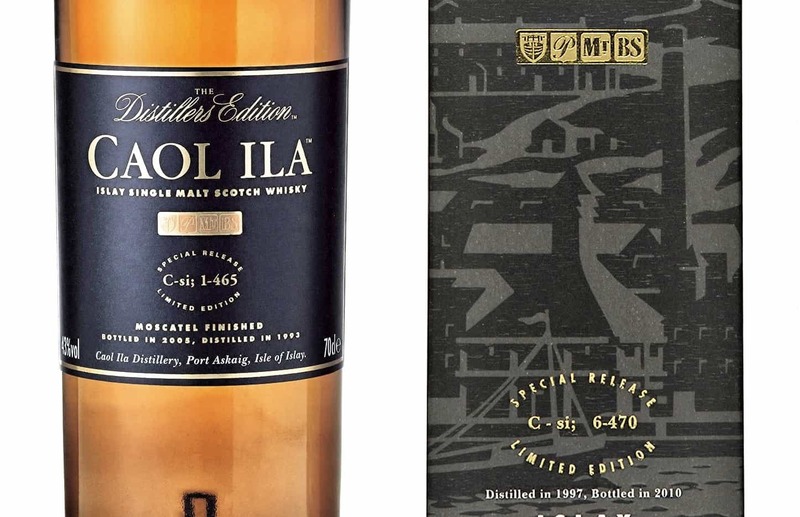 But they also release a range of single malt whiskies on top of this, one of which is the Caol Ila 1998 Distillers Edition – distilled in 1998, left to mature in Bourbon casks before being finished of in Moscatel sherry casks, then bottled at 43% ABV. Colour: a kind of smoked-fish gold. On the nose: ooh. Now there’s a nice bit of peat. Gentle, penetrating, not overwhelming. It seeps into your bones. That’s what Islay’s about. Dirty, briny, lovely. Very faintly, in the distance, is the promise of something sweet. In the mouth: that’s very different. A lovely oily, slippery, seaweedy, smokey sensation. Beautiful balance, however it’s quite straightforward and not much goes on. There’s a gentle black pepper finish, again with that subtle brown sugar sweetness. The peat is warming, but not at all as big as you’d get with a Laphroaig or Ardbeg 10. In fact, it’s more malty on the finish, and leaves you just a little disappointed. Don’t get me wrong, it’s a delightful sipping dram, and peat-heads will find there’s much to admire. In fact, it’s enough to convince me to try even more from this distillery. There must be a gem in there somewhere, judging by this, and I’m determined to find it. Problem with Caol Ila (cull eela) is this in my view: imported, pre-prepared barley, spirit put into tankers then casked and stored in Stirling, bottled on mainland as well. Unless things have changed, the only Islay-thing about it is the water. I find the expressions disappointing and suspect Islay bandwaggoning. Having said that, I also know folk who love it. But then, I’m a total Bruichladdich fangirl. I’m very much a Bruichladdich fanboy, Linda! Good stuff. Ugly stepchild? Neglected Mark, but not ‘ugly’ surely? I would say m’lud, in case for the defence, that you’ve started on the wrong foot. 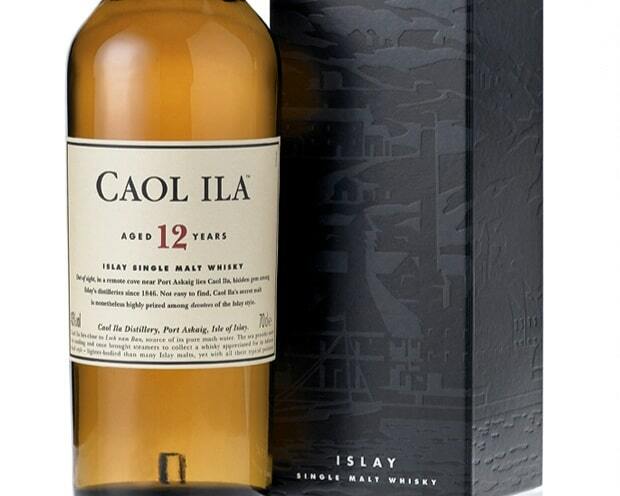 If you were to try the regular 12 year old you will find a gentler peat experience and a simpler Islay whisky. I like it it because of that sweet smokiness on the finish, I only say this because when I was given a shot of the distiller’s ed, it just wasn’t to my taste. Less the ugly stepchild, I believe, just the one no-one can remember in the family photographs. Thanks, as ever, for a good review. Thanks for stopping by. Ugly stepchild, well, that’s merely my colourful use of language! I will certainly be trying more, probably starting with a bottle of the 12 Year Old. But I definitely want to see what else this distillery can produce. Perhaps I will then see it as something beautiful! Its the industrial Islay distillery although someone has correctly stated this spirit is quickly shipped off the island. They only seem to have a couple of hundred casks at any time on site. Shame as its a fantastic setting with a good whisky. When I was there last week they had run out of the Distillers Edition. I quite enjoyed the Moch edition. People say good things about the Moch, so I’ll have to add it to my (ever-growing) list. I’ve got a couple of others to try very soon – starting with the standard 12. I’m determined to find something to love about it.